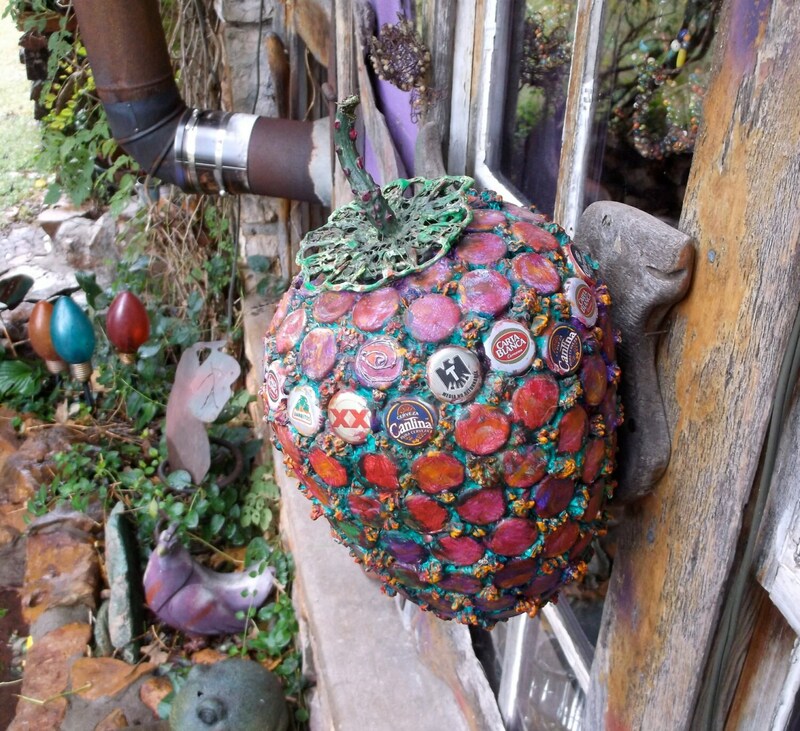 This wall piece is a gourd covered in upcycled bottle caps and gourd shards. 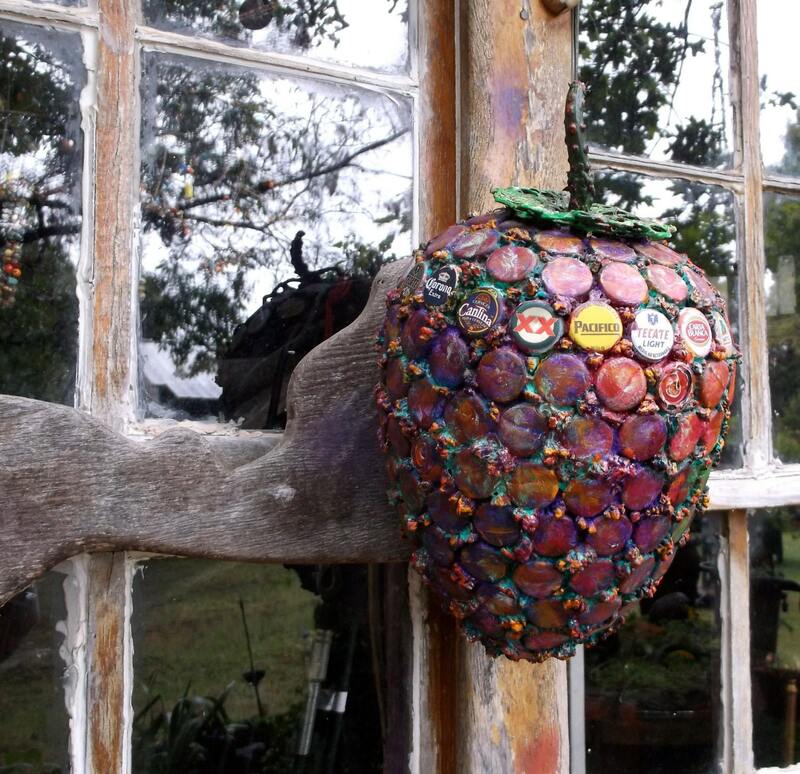 Upcycled pop tops surround the stem to form the berry's green cap. I love the industrial/organic dichotomy of the berry. 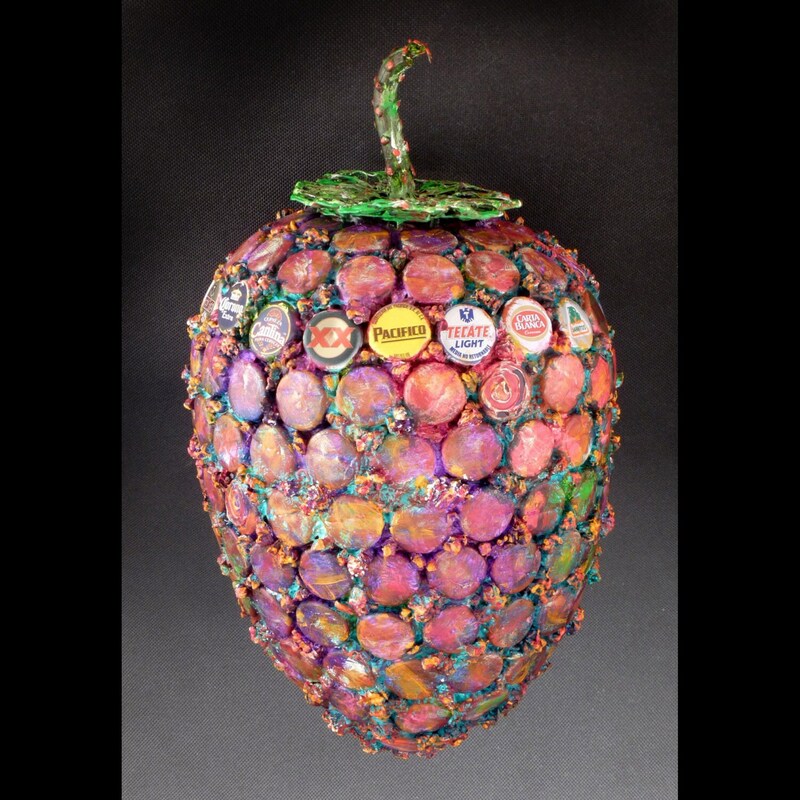 All the bottle caps are painted over with acrylic except for a ring of caps around the upper part of the berry. 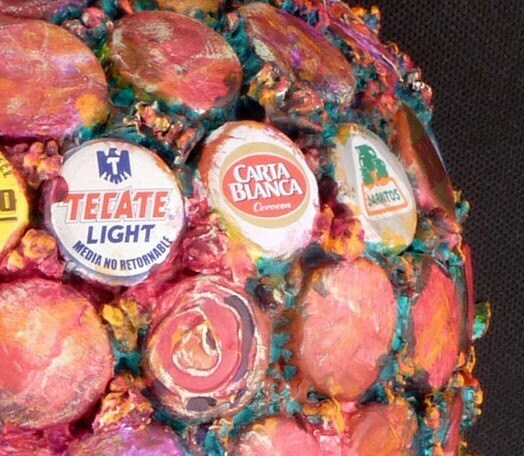 Each uncovered cap is from a Mexican beer or soda. The berry is approximately 15 inches long including the stem, 26 inches around the widest part, approximately 8 inches across the more narrow part. I keep things simple. There's a discreet hole drilled in the back of the berry. 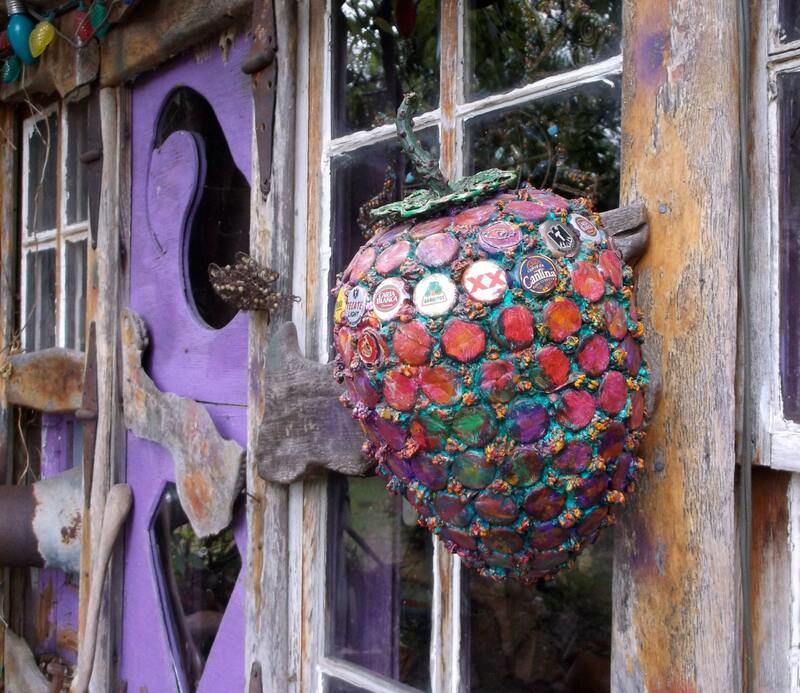 To hang the berry on the wall, drive a nail or screw into the wall, line the hole up over the nail head and it's done. Once the gourd is up, ambient light will play upon it and create lovely shadows around the piece, adding a little snap to the unusual contemporary aspect of the berry. The gourd will arrive in a sturdy shipping box, nested in recycled packing material. A gourd sheet providing a brief overview of humankind's long relationship with gourds, and a hand-painted gift bag, and tissue (both made from post-consumer paper) included so you're good to go for gifting.